If you have been looking at the Google Nexus 7 or the Samsung Galaxy Tab you may have been wondering- what is the best way to pick a tablet computer that fits your needs? Here’s a tip – it isn’t always about price or brand name. Tablet computers are made to be convenient and easy to use. However, if you don’t understand some of the features, you will be missing out on the benefits. Here are some of the key features to be familiar with before you buy. Many people use tablets to browse the Internet or take Internet based phone calls on programs such as Skype or Google Talk. In order to do that you need to be able to connect to the Internet. Tablet computers can connect with WiFi, 3g or 4g connectivity, so it is important to know which type of connection you will need before you buy. Not all devices are the same in terms of connectivity even if they are both popular. For example, the Samsung Galaxy Tab is a popular WiFi only device while the Apple iPad2 on AT&T tops the list for 3G connectivity. If you are going to be traveling with your tablet, you are going to want a camera. Otherwise how are you going to share those wonderful pictures of your pets? Most tablets available today include a camera, but there are some that do not. 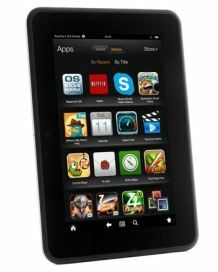 For example, if you are looking at a Kindle, only the Kindle Fire HD comes with a camera. Whether or not a tablet has a camera is easy to find out – just be sure to check the specifications before you make a decision. It’s easy to overlook storage on a tablet, but you shouldn’t. If you do not purchase enough storage at the beginning you’ll find yourself buying a whole other tablet within a year. Consider buying a tablet with memory card slots so that it will grow with you. The popular Nexus 7 and iPad2 do not have expandable memory, but the more expensive Sony Xperia does. For most consumers, 16 GB is plenty. There are plenty of other things to look for in your next tablet, including screen size, weight, and even battery life, but these three characteristics should be considered first when shopping for your perfect fit. What else do you look for when shopping for a tablet computer? It is better to buy a tablet with a phone specification because now you can buy a sim broadband and you can connect internet anywhere and everywhere.